#1 the most common treatment is Adjustment of the (vertebrae) by hand or instrument manipulation of the spine. The most essential to chiropractic care is the spinal adjustment. This is the best way doctors of chiropractic correct subluxation.Sadly, the muscles are connected to subluxated vertebrae and adapt to their new positions ( subluxated position) and have a tendency to pull the bone back out of position. It could take several adjustments before the adjustment "holds," and the bone settles into its proper alignment. 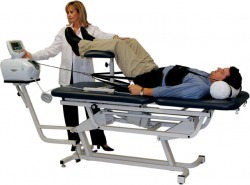 #4 Therapies for a release the spasm and restore the muscle balance of the body. Trigger Point or Myofascial Therapy often called Neuromuscular Technique (NMT) releases small tight areas within muscles that create tight bands and knots in the muscle fibers. The nerve impulses to these fibers are continually switched on. Through manual release techniques these can be released. Trigger points restrict motion range, weaken the muscle, and refer pain elsewhere in the body. Eighty percent of the trigger point sights coincide with acupuncture points of the body. Trigger point release techniques have been traced back to the 1800’s in Western medicine. Dr. Janet Travel, a White House physician, and Dr. David Simons wrote the first research books describing the techniques as “Myofascial trigger point.” Trigger point is practiced by many such as doctors, chiropractors, and massage therapists. 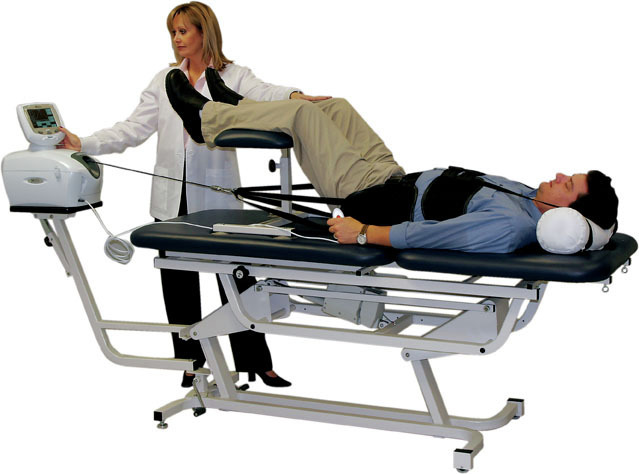 #5 we use physiotherapy techniques such as electric therapy, ultrasound, heat, and rehab. #6 we also use Nutritionals advices and detox.